Ensure your AED is safe to use on children. Most AEDs are designed for use on adults and should not be used on young children. With the Pediatric Energy Reducer Welch Allyn AEDs can be safe to use on children under the age of 8 or under 55 lbs. This innovative device automatically delivers only one quarter of a full adult energy dose without making any changes to the existing AED. This device is designed to work with Welch Allyn's standard compact AED pads-eliminating the need to stock costly paediatric pads. The AED Plus Trainer2 allows CPR and first aid instructors to have students experience what it's like to save a life with the AED Plus. Choose from four different fixed rescue scenarios or have complete manual control of the entire rescue. A wireless remote controller enables the control of multiple AED PlusTrainer2s. With this simple remote controller instructors can setup a rescue scenario and download to the AED PlusTrainer2 in seconds. The student pushes the on-off button on the Trainer2 unit to begin. The instructor then determines whether to shock on the next simulated heart analysis or not, whether the pads have been properly attached or not, and when the Trainer2 unit should say"PUSH HARDER" and "GOOD COMPRESSIONS." A simple pause button lets the instructor stop the rescue altogether, confer with the student and then pick up exactly where the simulated rescue left off. Protocols conform to International Liaison Committee on Resuscitation (IILCOR) standards including American Heart Association (AHA) and European Resuscitation Council (ERC) 2010 Guidelines. The Trainer2 easily switches from AHA to ERC 2010 Guidelines. 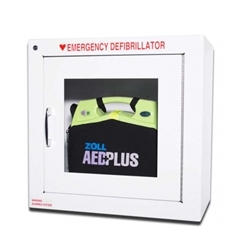 Metal indoor AED cabinet to ensure that your defibrillator is safely stored and well protected. The ARKY outdoor AED cabinet is made of high impact polystyrene and is suitable for tropical to arctic temperatures. 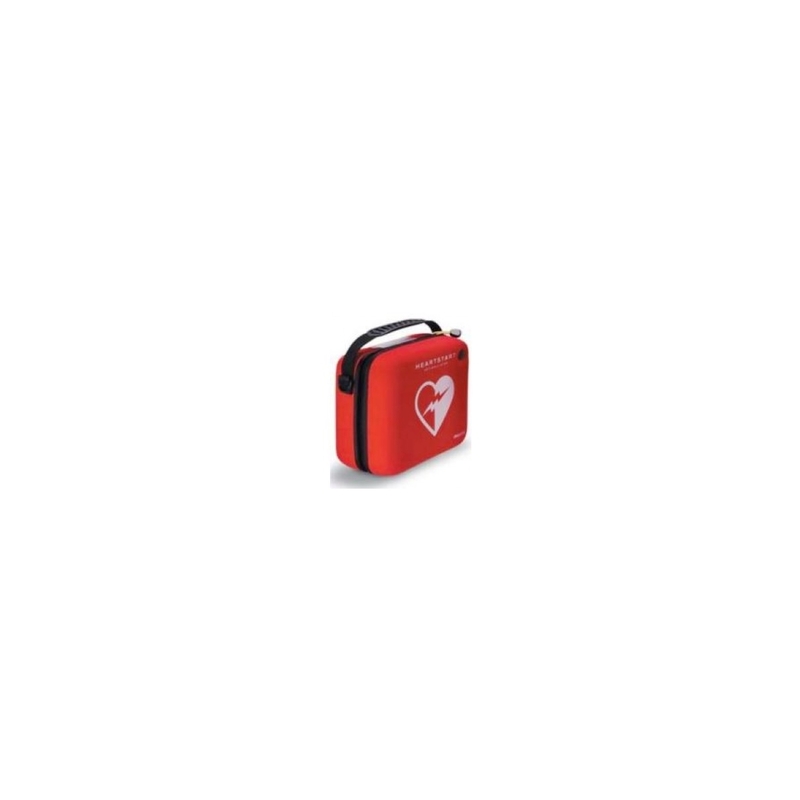 Storing your AED in an ARKY outdoor cabinet guarantees that your defibrillator is well protected at all times. 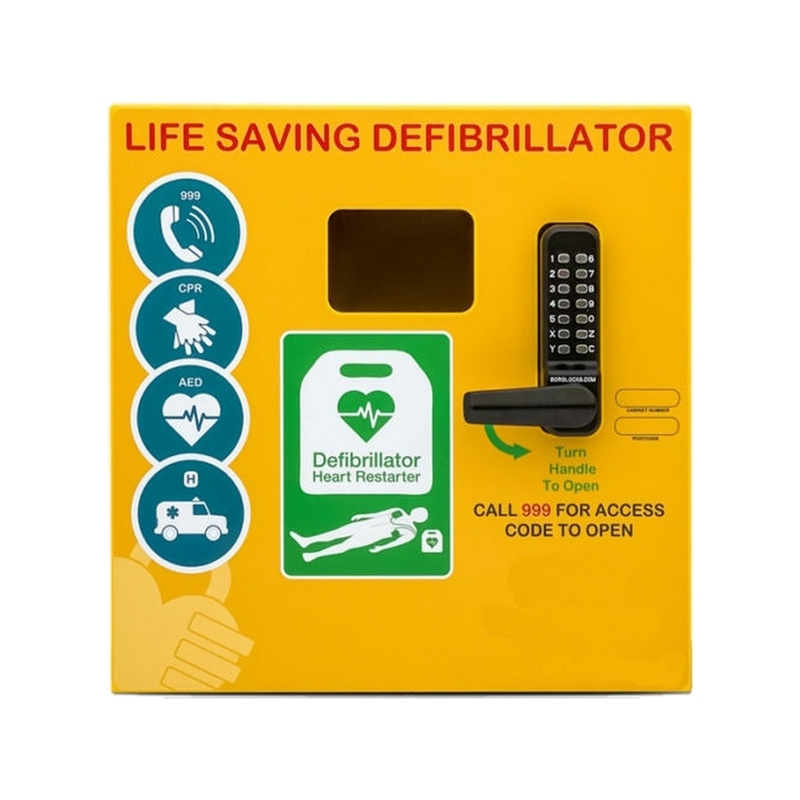 The ARKY outdoor AED cabinet is made of high impact polystyrene to ensure that your defibrillator is well protected. 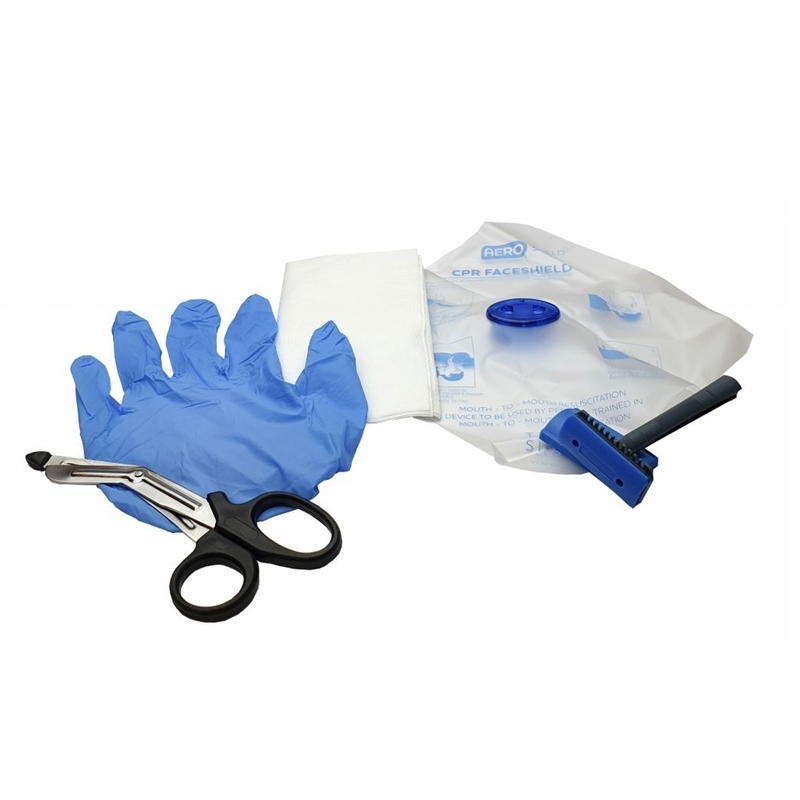 Premium kit to have with your AED to prepare a patient for CPR or defibrillation.